So, I flipped through my New American Cook Book, ca. 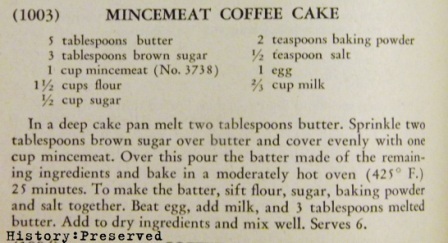 1945, and found this recipe for Mincemeat Coffee Cake. This was just the ticket, because I've been sad that I wasn't able to make anything with mincemeat for Christmas due to my recovering from a surprise C-section and baby arrival! 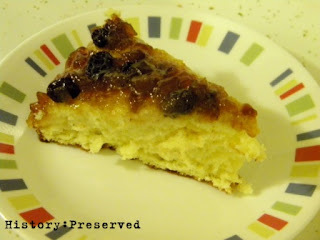 This recipe was easy and pretty fast, which is always a plus when making a cake. Especially when you're trying to squeeze it in between making supper and eating supper. haha! It's pretty straightforward! Even so, I managed to mess part of it up. Those 5 tablespoons of butter do NOT all go into the bottom with the brown sugar. 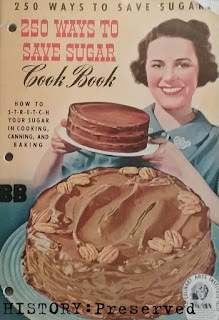 Notice it says only TWO tablespoons of butter go in the bottom, the rest goes into the cake. Silly me! But then, you know by now how notorious I am for not reading directions very thoroughly... I remedied my mistake by pouring off some of the butter and adding oil to the batter since I'd already put everything into the pan and butter was pooling around the sides. 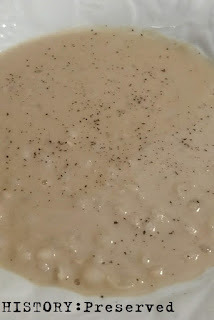 *sigh* You'd think I'd learn my lesson about the "reading the recipe through" thing! I was tempted to add vanilla to the cake, but I stayed strong and didn't. Good for me! I think the cake tastes fine without it, though vanilla wouldn't hurt! Another note I had is about the oven temperature. 425º F seems excessively hot, and the top of the cake did get dark golden brown (what my son calls "burnt" even though it's not). So, it would be worth experimenting with a lower oven temp like 375º and lengthening the baking time. And finally - the recipe doesn't mention anything about flipping it over, but it could've been assumed you would do it since all the yummy stuff is on the bottom. I just went ahead and flipped it like a Pineapple Upside-Down Cake, and I feel like it was meant to be. 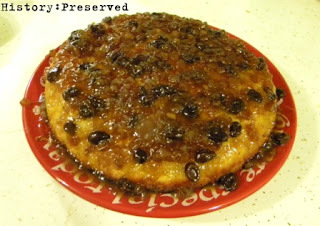 All those yummy mincemeat juices trickled down the sides and softened up the golden "burnt" top of the cake quite well. 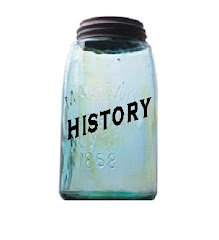 Plus, it's just really pretty, don't you think? 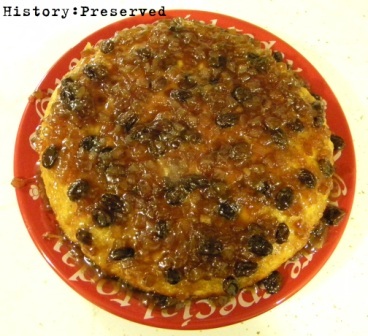 The crumb was delicate and moist, and the mincemeat was the perfect accompaniment to the rather plain cake. A very nice treat, to be sure! Definitely give this a try. It's perfect to make if you have some leftover mincemeat filling from Christmas.